Many are calling it the rapper's best project in years while others were still hoping for more. Though his early work is generally considered to be hip-hop canon, Eminem's output has become increasingly divisive over the last decade. 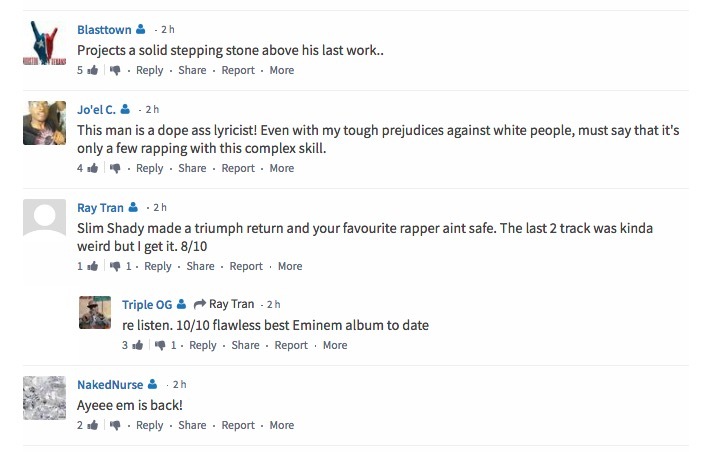 His 2017 project Revival was perhaps his most polarizing project to date, a reaction which seems to have inspired the surprise release of his 10th studio album Kamikaze today. The Detroit rapper is as unforgiving as ever over the course of the project, namely with his targets -- dissing many younger rappers including Drake, Lil Yachty, Machine Gun Kelly, Lil Pump, and more. It also marks a turn towards heavier and more modern production with help from Mike WiLL Made It, Boi 1da, and Ronny J. There is also controversy surrounding a line in which the rapper uses a homophobic slur in reference to Tyler, The Creator. 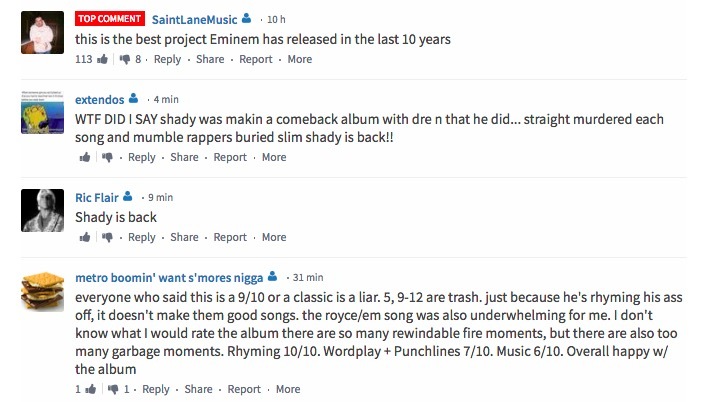 Largely, fans have deemed the album an improvement over Revival, with many going as far as to say its the rapper's best work in years. However, it's not exactly a consensus, with fans who hold his work to a certain standard still leaving disappointed. 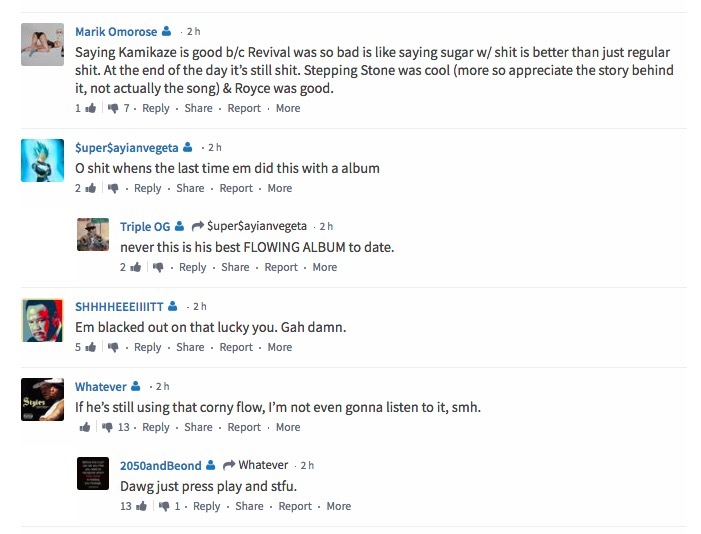 One thing's for sure -- it's inspiring some colorful debate among rap fans. Listen to the album here and let us know what you think. 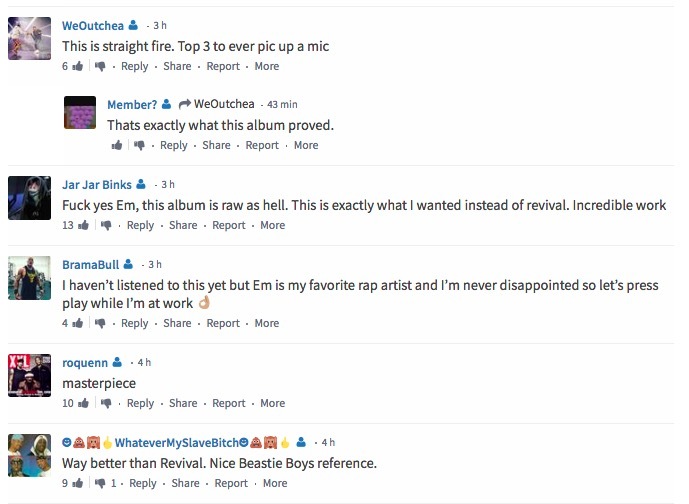 Check out some of the fan, critic, and celebrity reactions, both from HNHH's comment section and Twitter below.